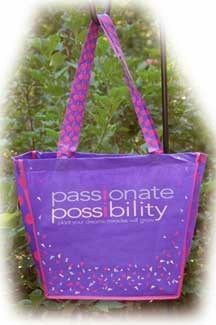 Proclaim your Passionate Possibilities with this whimsical purple bag accented with bright pink polka dots! 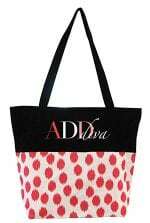 Shaped like a shopping bag, this non-woven tote bag is emblazoned with the ADDiva theme “Passionate Possibility“ on one side and “Celebrate Possibility” on the opposite side, along with lots of confetti and whimsy. Strong enough to carry groceries; folds flat for easy storage. Causes a sensation wherever you take it along! Purple bag with bright pink and peach accents. Lots of polka dots, too! 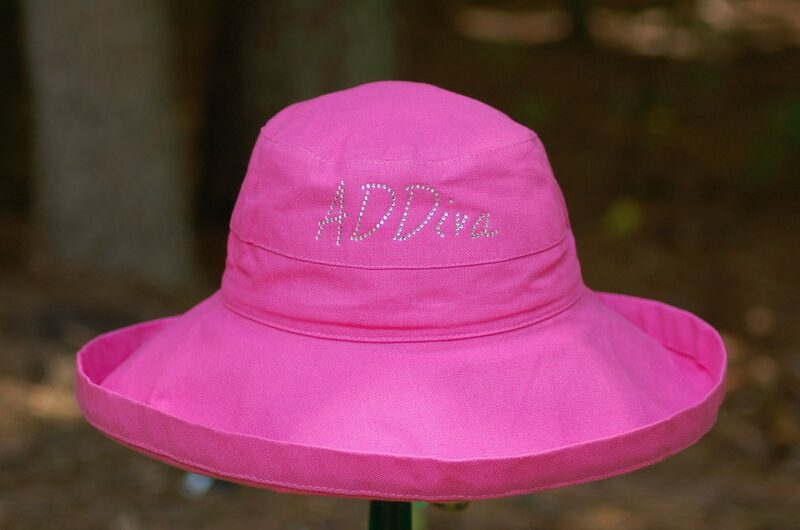 18 x 16 with an extra long polka dot handle.